Simon's Cat proved his authority in the house. He returned victorious from his adventures beyond the garden fence. He prevailed after the chaotic arrival of a new kitten. 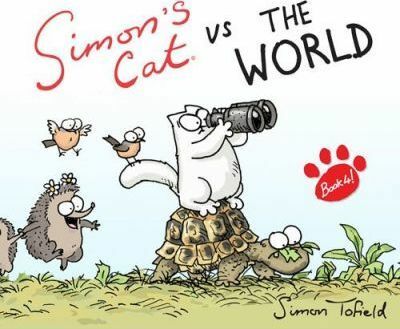 Now the UK's favourite cat faces his biggest series of challenges yet, as he takes on all comers in Simon's Cat vs The World! Illustrated in glorious full colour, Simon's Cat explodes from the page with mesmerising levels of detail, with fans old and new in for a treat as favourite characters and fresh faces run amok in a vivid world full of surprises. Part of the adventures that have been viewed over 350 million times on YouTube, Simon's Cat vs The World takes the anarchic humour of Simon's Cat to a new level of fun. Don't miss it!